Ours being an agrarian economy focuses on the latest agricultural practices along with the best solutions for irrigation. To facilitate this need, we have emerged as one of the leading solar pumps suppliers in India . 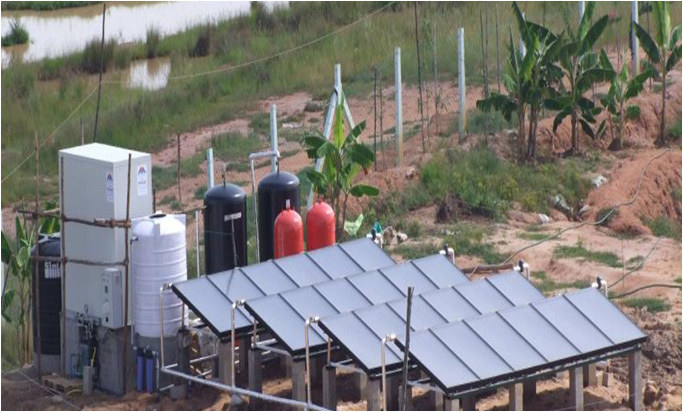 A solar water pump has a mini powerhouse at its core and consists of a calibrated solar array of modules. The solar pumps are capable of supporting varying applications namely, irrigation, domestic needs, submersibles, and more. Our solar water pumps are designed on the latest technology for the best discharge and value for money. This technology enables water availability even at a remote location, places devoid of electricity and fuels. This is not only beneficial to the society but also to the environment. Solar Pumps are free from feeder damage, supply cut, rate hikes etc. Solar pumps offer low maintenance and operate independently of voltage fluctuations that are a serious threat to conventional water pumps. By supplying solar water pumps of varying horsepower and based on our signature fabricated technology, we have carved a niche for ourselves as a leading solar pumps supplier in India.